Ashley graduated from California State University, Northridge with a B.A. in Deaf Studies. She has always been actively participating in organized sports from her childhood to her college years. It was in college that she discovered her passion for fitness after she took her first Barre/Pilates class which alleviated stress from long hours in the classroom, studying and interpreting (using American Sign Language). She not only saw almost instant results in her body, she was also drawn to the energy and camaraderie from each class. 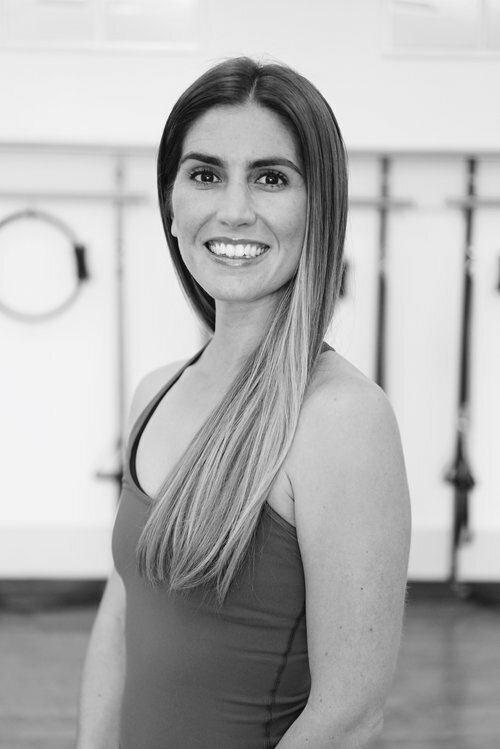 In pursuing her passion for fitness, she studied with BASI Pilates, Pop Physique, and the original Lotte Berk Barre workout. A cheerleader her whole life, Ashley brings enthusiasm and desires to help other reach their goals through physical activity creating a fun yet challenging environment for her students.